The more I run, the more I want to learn about running. Not from textbooks or training guides, but from the experiences of other runners. So it was an absolute delight to read two great books by fellow runners. Both very different in style and content, but both equally riveting. Even if you’re not really that into running. 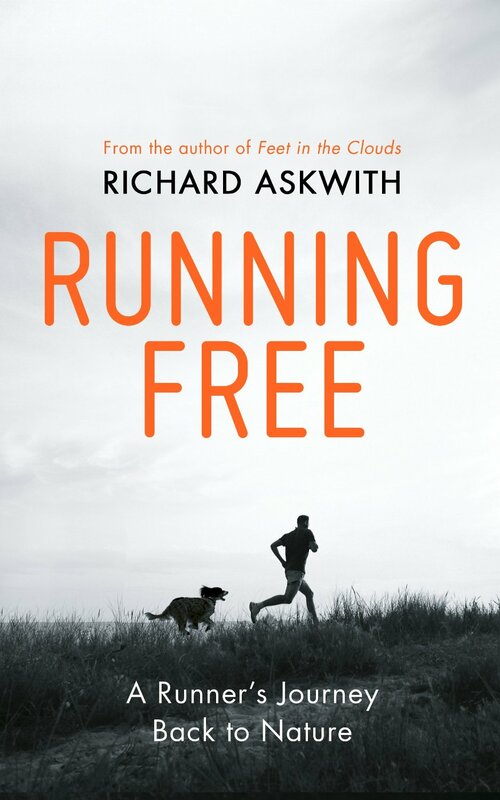 ‘Running Free’ is journalist Richard Askwith’s second book on running, coming hot on the heels (if you’ll pardon the pun) of ‘Feet in the Clouds’, his best-selling exploration of the fell running scene. This latest offering has three aspects to it. It’s part diary of a year’s running in the Northamptonshire countryside. It’s part a series of essays on running as a pursuit. And it’s part battle cry against the commercialisation of this most human of endeavours. Despite the broad themes that the book covers, this is a very personal story. The author’s arguments are illustrated with personal experiences, whether they be his early morning runs across the fields with his dog, his (intentional) pursuit by a pack of bloodhounds, his attempts at cheese-rolling or his initiation into the hidden world of the Trevelyan Manhunt. Askwith’s joy in simply getting out and putting one foot in front of the other comes across in every paragraph, sentence and clause. If you’re already a runner, his book will help you to gain new perspective on how and why you run. And if you’re not a runner, then it’ll have you shopping for trainers (or possibly Vibram FiveFingers) before you’ve reached the end of the first chapter. If ‘Running Free’ is the story of one man’s relationship with running, then Christopher McDougall’s ‘Born to Run’ asks similar questions of our entire species. What is it that makes us run? How can we regain the lost running skills of the past? And what drives those who run distances unfathomable to others who have not succumbed to the lure of the trail? 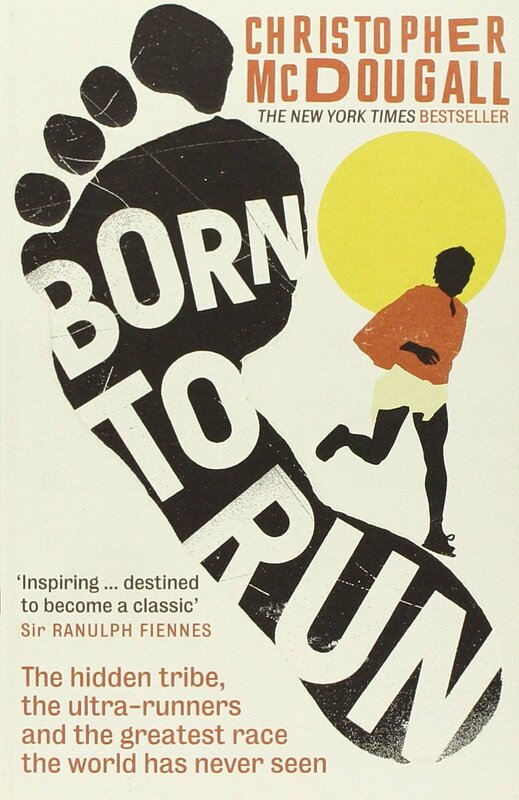 Published back in 2009, ‘Born to Run’ quickly became somewhat of a classic among the running fraternity. It tells of the author’s own (figurative) journey to become a better, more intuitive runner. It also describes his (literal) journey in search of the Tarahumara, the Mexican Indians regarded by many as the world’s greatest distance runners. It introduces us to such intriguing characters as ‘the Bonehead’, Barefoot Ted and the elusive Caballo Blanco – the white horse. And it tells the story of one man’s quest to organise, as the blurb says, the ‘greatest race the world has never seen’. I don’t think there’s any way this book could live up to all of the hype surrounding it. Particularly because other ultrarunners, such as Dean Karnazes and Scott Jurek have since also written about their own endeavours. But as an inspiring and engaging exploration of not just why we run, but why we need to run, it’s right up there with the best. This entry was posted in Books, Running and tagged Books, Born to Run, Christopher McDougall, Richard Askwith, Running, Running Free by Simon Perks. Bookmark the permalink.